This is directly competitive with Rollyo (see our posts here) and Eurekster’s Swicki product (see our posts here), which we use for search on TechCrunch – see right sidebar. 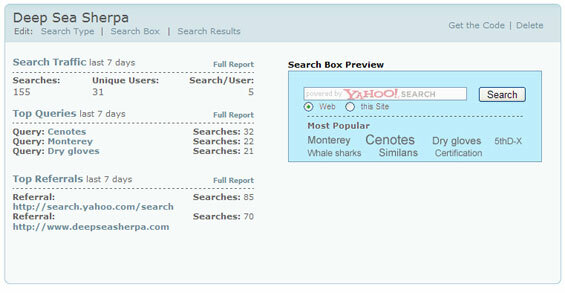 Like Eurekster, Yahoo is giving search engine creators the ability to personalize the results page, view search statistics and include a tag cloud of commonly searched terms (this tag cloud greatly increased use of the search engine). Yahoo is saying nothing about sharing advertising revenue with creators – Eurekster is doing this now.